Mr. Lopez has served as the Chief Executive Officer of AGS and Chief Executive Officer and President of the Company since February 3, 2014. Mr. Lopez has also served on the board of the Company since May 2017. Mr. Lopez most recently served as President and Chief Executive Officer of Global Cash Access, Inc., which he joined in May 2012. Prior to his role at Global Cash Access, Inc., Mr. Lopez served as Chief Operating Officer of Shuffle Master Inc. from November 2010 until May 2012. Mr. Lopez joined Shuffle Master Inc. in February 1998 and held various positions within the organization during his 14-year tenure, including Interim CEO, Executive Vice President, President of the Americas, Vice President of Product Management, as well as serving as a member of its board of directors from November 2010 until May 2012. Mr. Lopez is a graduate of the University of Nevada, Las Vegas with a B.S. in Business Administration. Mr. Akiona serves as Chief Financial Officer of AGS and Treasurer, Chief Financial Officer and Chief Accounting Officer of the Company. Mr. Akiona was appointed to serve as Treasurer of the Company and Chief Financial Officer of AGS on February 23, 2015. Mr. Akiona, most recently served as Senior Vice President and Corporate Controller of SHFL entertainment, Inc. and Bally Technologies, Inc. Mr. Akiona joined SHFL entertainment, Inc. in December 2005 and held various positions within the organization’s finance and accounting department during his tenure, including Vice President and Corporate Controller and Director of SEC Reporting. Mr. Akiona is a graduate of University of Nevada, Las Vegas with a B.S. in Business Administration with a concentration in accounting. Mr. Gallo joined AGS in February 2010 as Vice President, Licensing and Compliance and Compliance Officer and currently serves as the Company’s General Counsel, Secretary, and Compliance Officer and as General Counsel of AGS. 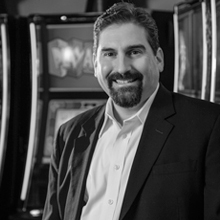 Previously, Mr. Gallo was General Counsel and Vice President of Business Development for Youbet.com, and Vice President of Legal and Compliance and Corporate Counsel for Konami Gaming. Mr. Gallo has also worked as an attorney in private practice, and as an active duty captain in the Air Force Judge Advocate General Corps. Mr. Gallo received his Bachelor of Science degree in Aerospace Engineering from the University of Southern California and a Juris Doctor from the University of the Pacific. Mr. Lee was appointed to serve as Chief Technology Officer of AGS, on July 1, 2015. Mr. Lee most recently served as Chief Technology Officer of Cadillac Jack. Mr. Lee joined Cadillac Jack in 2006 and served as their Chief Technology Officer during his tenure. 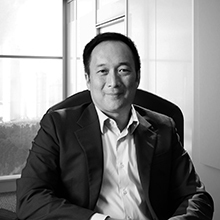 Prior to his role at Cadillac Jack, Mr. Lee served as the Vice President of Engineering for Bally Technologies. Mr. Lee is a graduate of Georgia State University. Joining AGS as Chief Marketing Officer in late 2015, Julia leads integrated marketing and corporate communications strategies designed to heighten AGS’ profile with both its customers and other key constituents. Most recently, Julia helped drive corporate communications and manage operations for the Office of the CEO as Chief of Staff at Scientific Games, a $3 billion gaming and lottery supplier. Prior to that, Julia served as Vice President of Global Marketing at Bally Technologies. In 2008, she started her career in gaming at Shuffle Master, managing dual roles as Vice President of Investor Relations and Corporate Communications. Julia carries an MBA from Rollins College Crummer Graduate School of Business in Winter Park, FL. 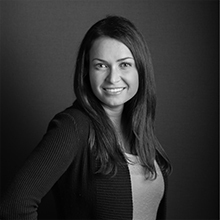 As someone who gambles often and enjoys the casino experience, Julia understands firsthand the importance of the player being at the center of the AGS-universe when it comes to great game creation and promotion. 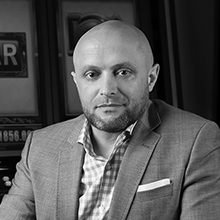 Mr. Perry has been with AGS since January 2015 and brings 14 years of gaming experience, most recently serving as Vice President of Sales – North America at Aristocrat, where he started his career in 2000. He also served as Vice President of Sales at PokerTek from 2007-2009. 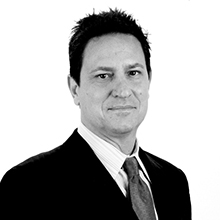 Robert’s extensive contacts and experience are invaluable to the company. Andrew joined AGS in 2008 and currently oversees the company’s slot product strategy, improving processes to shorten the time to market. Prior to AGS, Andrew familiarized himself with the company through his role with Alpine Investments, AGS’ previous owner. 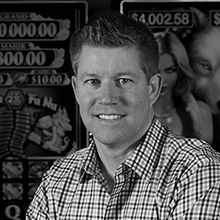 Mr. Burke’s experience with the mergers and acquisitions in the gaming space helped immensely as he ushered AGS through the acquisition of Colossal Gaming. John Hemberger is the Senior Vice President of Table Products for AGS. 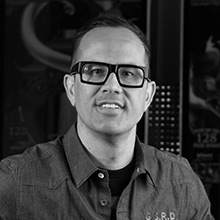 Hired by President and CEO David Lopez to create a table games division for the company in the summer of 2014, Hemberger has grown AGS’ table games portfolio to include more than 25 game titles and a competitive array of table game equipment with more than 1,800 total product installations across the world. 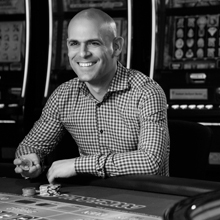 In his role as Senior Vice President, Hemberger is responsible for business development, sales, R&D, and product management for all AGS table game products. He also led the acquisition efforts of some of the company’s most successful and award-winning products to date – including Buster Blackjack, War Blackjack, Criss Cross Poker, Bonus Spin, andIn-BET. 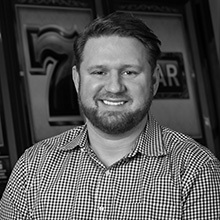 Hemberger was named one of the gaming industry’s “40 under 40” by Global Gaming Business magazine in 2017. Drew joined AGS in 2016 and currently serves as Vice President and General Manager for Latin America, a role in which he oversees the company’s team in Mexico and is responsible for expanding prospects throughout Latin America. 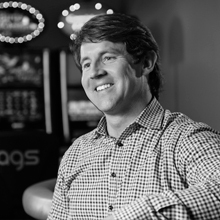 Previously, Drew served as Senior Vice President of Business Development for BMM, where he was responsible for client engagement with gaming manufacturers in the Americas. Prior to BMM, Pawlak was appointed Vice President of Business Development for Ultrazone Franchising, a unique provider of location based entertainment (LBE) centers, which Pawlak founded in 1992. Pawlak has also produced live shows for theme parks, cruise lines and hotel and casino operations in the US and abroad. Drew’s vast experience in client services, technology, and ability to grow a new business in a unique market space, add to his significant contribution to AGS as it continues to grow in Latin America. As AGS’ Executive Vice President, Matt Reback leads the Company’s slot product operations, including product management, production, and service, as well as our growing interactive division. In his role, Reback focuses his efforts on strengthening the Company’s product operations to strategically align output with the growing product demand in the marketplace using his more than 12 years of gaming industry experience. Before joining AGS, Reback was most recently the Vice President of Marketing for Konami Gaming. Prior to Konami, Reback severed in multiple executive positions for Station Casinos as well as Caesars Entertainment. He received a Juris Doctorate from the University of San Diego, School of Law, and a Bachelor’s degree from the University of California Los Angeles.